Sometimes I like to buy some vegetables just by the look of it. I use them as a decoration before deciding what to do with them. Well this pumpkin Violin I have since the beginning of Autumn season in Bulgaria which was pretty much the beginning of October. But today was the day for it to fulfill its destiny. – One small pumpkin – around 400g without the seeds, pealed. 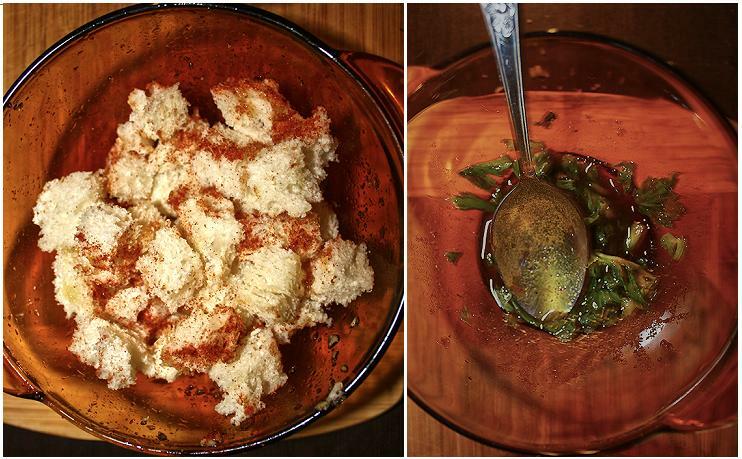 small stem of celery – with leaves removed (but we are gonna use them later ); 3 tsp of olive oil and 1 tbsp curry. Cut the vegetables and the stem of celery into cubes and put them them in salted boiling water. Meanwhile chop the leaves and mix them together with the olive oil and the curry and leave them aside. 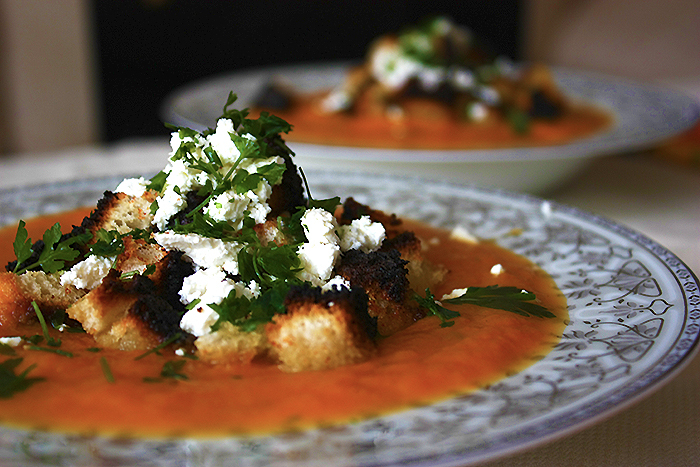 Prepare the croutons – put the cubes in a bowl, sprinkle with the olive oil and put the garlic. I also sprinkled some red pepper. Place a baking paper in a baking pan, pour the croutons over and spread them so that the have space and are not covering each other. Bake them in a preheated oven until they get golden brown. You need to very careful here and watch after them cause they are small pieces and get easily burnt (as I did with mine…:| ). 5 min before the vegetables are ready, pour the mixture with the curry. Remove from the heat when ready and use a blender to puree the soup well. Add salt and pepper by flavor. Serve with the croutons, chopped cheese and parsley.